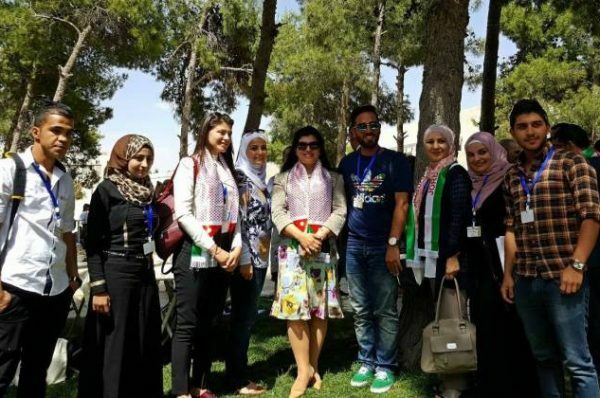 USAID-SCHEP awarded 15 scholarships to university students of archaeology, tourism and heritage, giving Jordanian students from across the country the opportunity to participate in an international conference held in Amman. The Aftermath of ‘Ain Ghazal: What Happened after 7000 BC? ACOR Wishes everyone a Happy and Blessed Eid al-Adha in September. ACOR in Amman will be closed according to the schedule that will be announced by the Jordanian government. The Islamic Holiday is expected to begin on Sunday 11 September or Monday 12 September 2016 and many institutions in the public and the private sector in Jordan will be closed for four days. Upcoming public lecture in Amman: Wednesday 28 September 2016 at 6 pm ACOR-CAORC Senior Fellow in Residence Dr. Suzanne Richard will speak on the topic The Levantine Early Bronze Age: Re-evaluation and New Vistas.